Husband and wife team Lorne and Shoshannah are going to be a force to be reckoned with in the food truck world. 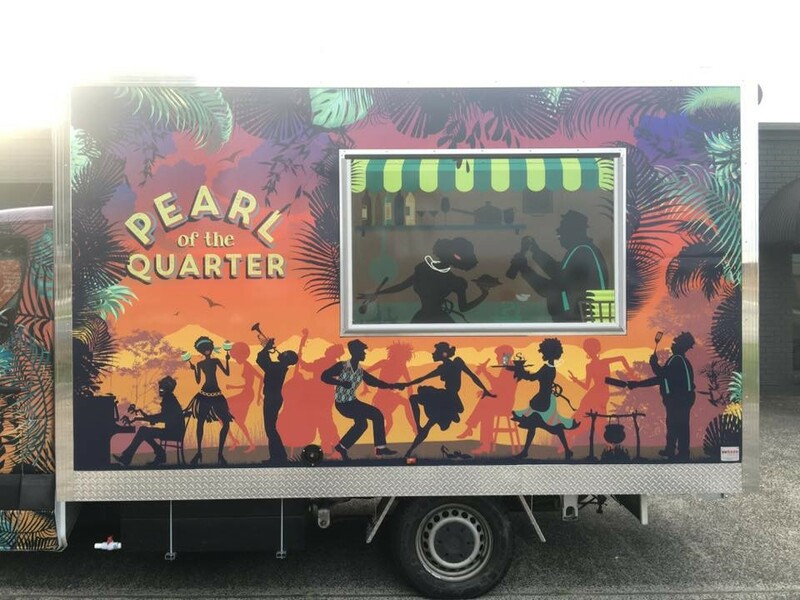 Having worked as a chef for the past 15 years in his own catering company, Lorne has catered to celebrities and major festivals throughout the UK. As well as a chef, Lorne is also a professional DJ, having DJ’d at many major international festivals and events. 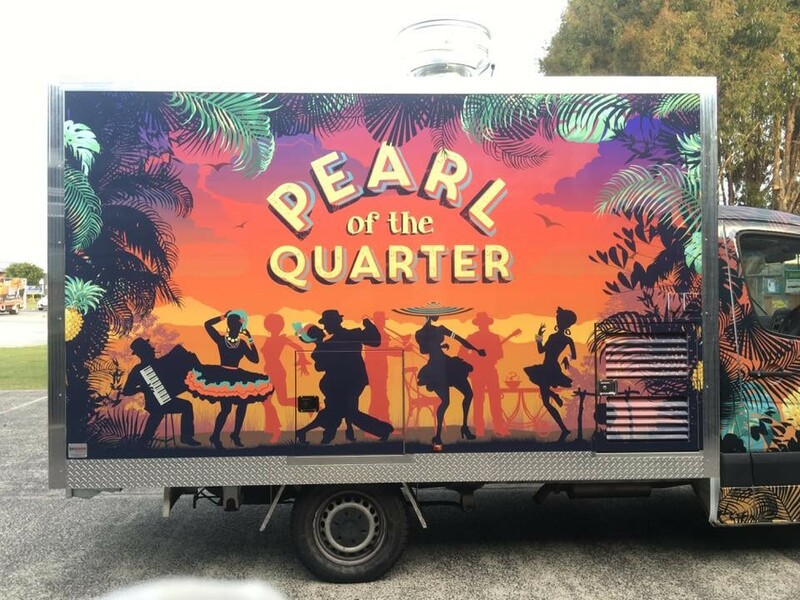 So we have no doubt there’ll be toes tapping and mouths watering every time Pearl of the Quarter roll into town. And by his side is Lorne’s lovely wife Shoshannah, who’s business acumen, creativity and flair for hospitality has helped bring their dream together to form their latest venture. 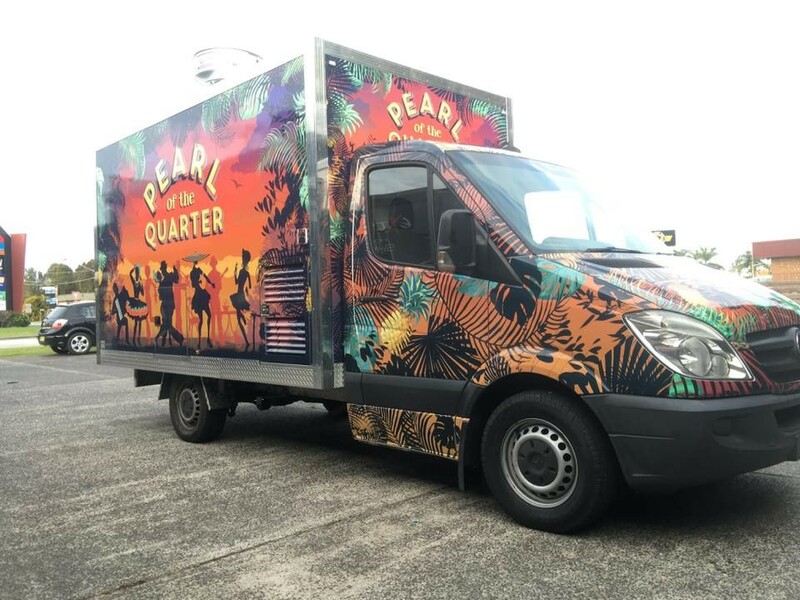 Inspired by the vibrant quarters of the great cities of the world, from the Ipanema Quarter of Rio de Janeiro to the French Quarter of New Orleans, Pearl of the Quarter will be recreating food and music experiences from these places out of their extraordinarily eye catching food truck. 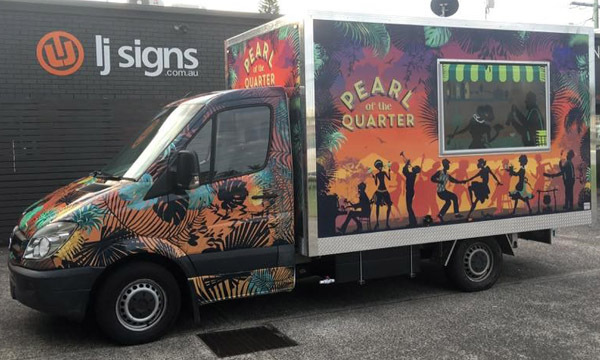 Built onto a Mercedes Sprinter, which was sourced for Lorne and Shoshannah by us here at Van Demons, this food truck has a 3.8 x 2.2 x 2.2m body with a full commercial kitchen on board. 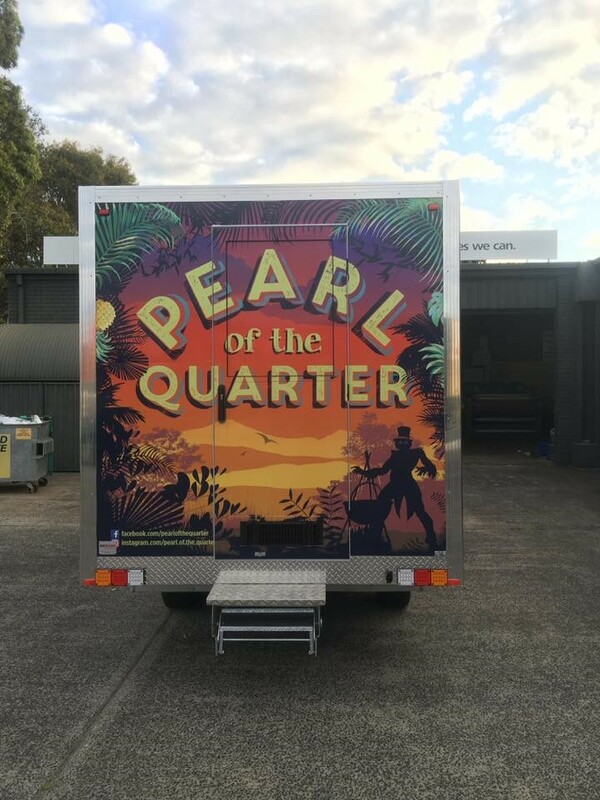 Whilst being based in Byron Bay, Pearl of the Quarter is currently at the Melbourne Fringe Festival (who doesn’t love food truck road trips!). Us Brisbane folk are hoping they’ll be back up our way soon as we simply cannot wait to get in on their food and tunes action!